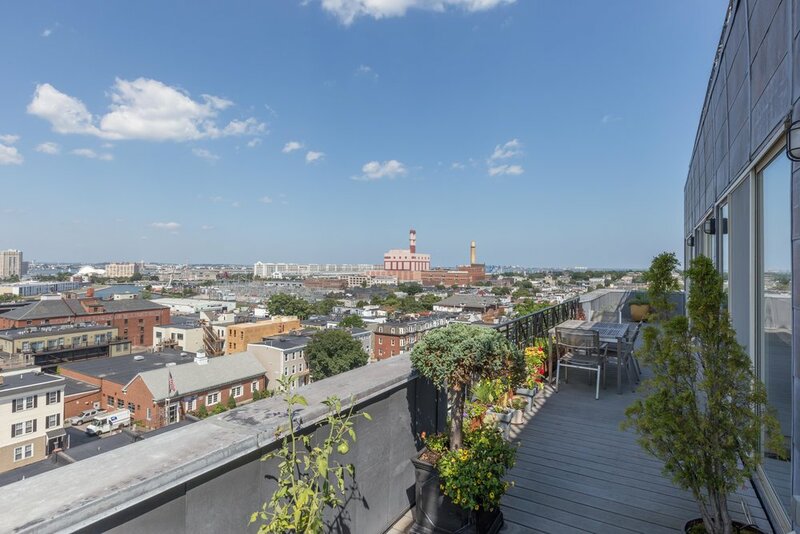 Breathtaking penthouse located in a boutique elevator building. 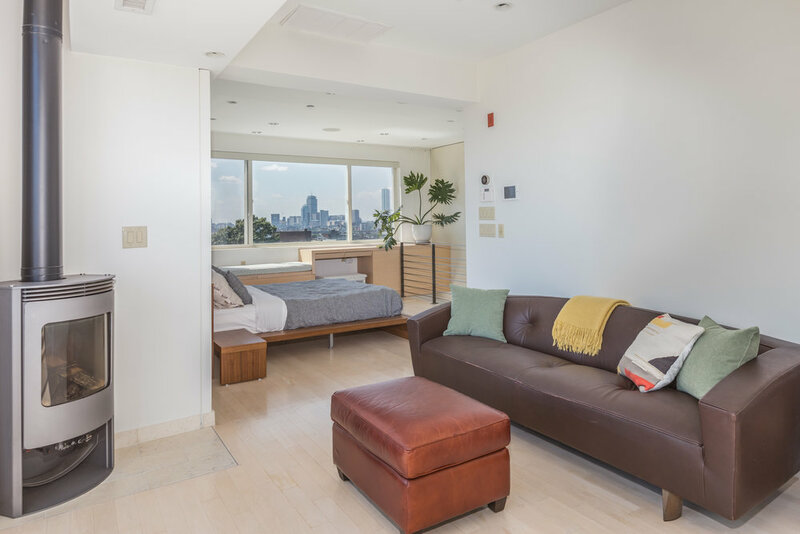 This contemporary duplex, with walls of glass, has sweeping views of the city skyline and Boston harbor. The first floor features slate flooring, a custom Poggenpohl kitchen with two sinks, wine fridge and breakfast bar. 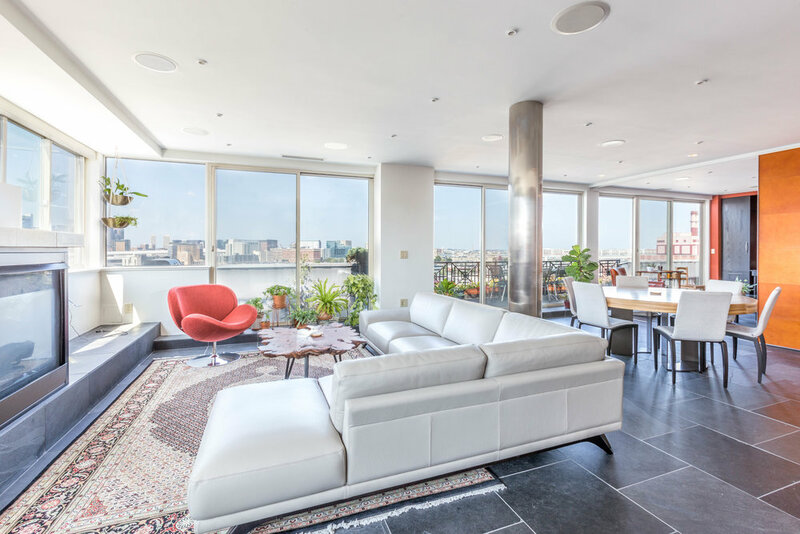 The open living and dining space has exclusive access to an oversized terrace, looking out onto the Boston skyline. Adjacent is an office/bedroom with a custom sliding wall and built-in desk, and an additional bedroom with en-suite bath. Upstairs, the master suite features stunning views of the Back Bay, a sitting area with a gas fireplace, and a walk-in closet. 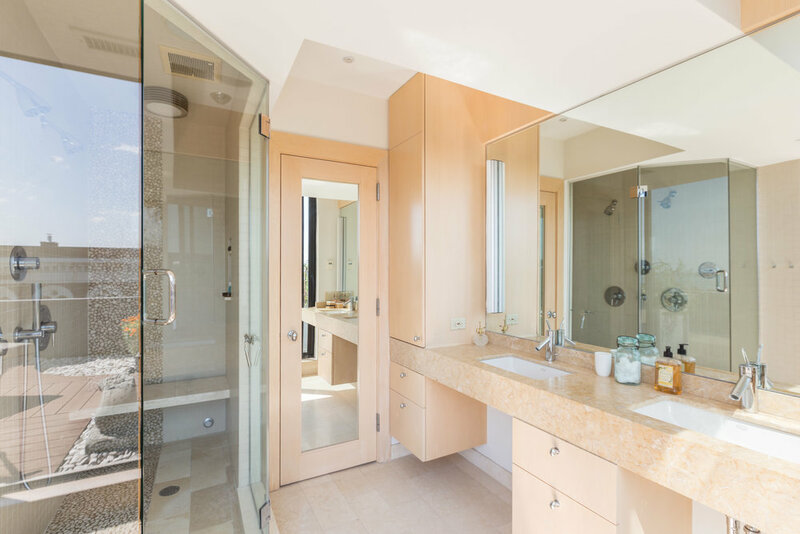 The master bath has a steam shower, double sinks, and a private toilet. 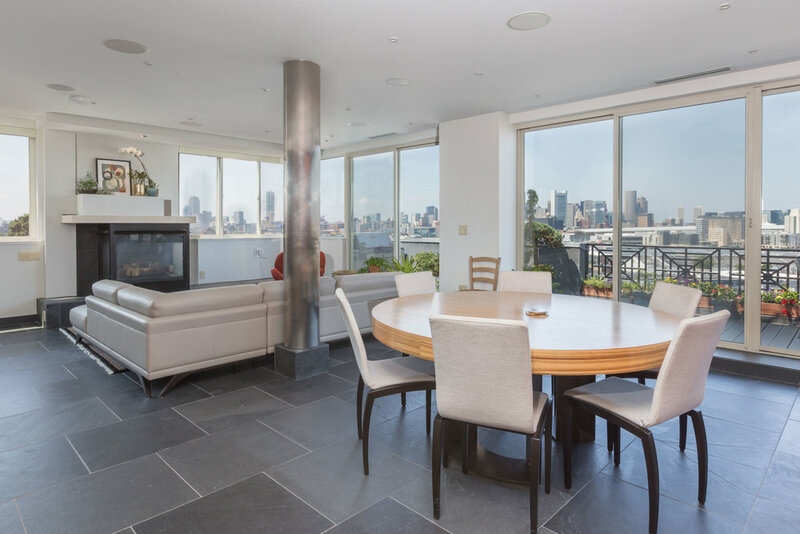 All overlooking an enormous terrace with views of the Boston harbor. This one of a kind home features over 1200 square feet of private outdoor space and comes with parking for three cars.